LILONGWE-(MaraviPost)-The country’s leading smartphone network provider, Airtel Malawi again on Thursday excited its customers with a new innovation “PaNet Social Combo Bundles” launch. 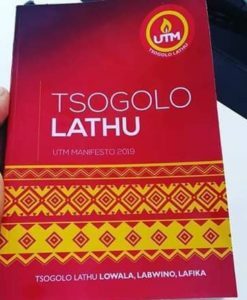 The service incorporates key social media platforms; WhatsApp, Facebook, Twitter and Instagram into one bundle. To access “PaNet Social Combo bundles” customers are required to dial *301#, select option 1-Internet bundles; option 2-PaNet Social; then select PaNet Social Combo, and pick the bundle value that suits users. Customers get social combo bundle 50MB at MK150 per 24 hours, 150 MB at MK350 a week and 1GB at MK1, 200 for a month. 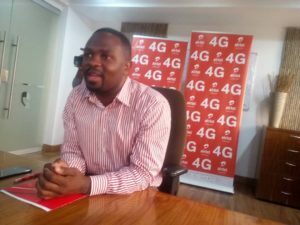 Airtel Malawi Marketing Director Frank Magombo told the news conference at its headquarters in the capital Lilongwe that the innovation aims at giving customers a more simplified and convenient way of accessing and buying data bundles. “We decided to put key social media platform in one bundle data for better access than ever before. Keep us posted on our official social media pages on IG, Twitter and Facebook, and let us know just how “social” the PaNet Social combo has made u”, excited Magombo. PaNet Social Combo bundles launch comes barely a month after the company successfully ran Bandulo Bandulo promotion that witnessed Malawi Prison warder walking away with MK10 million as a grand prize.